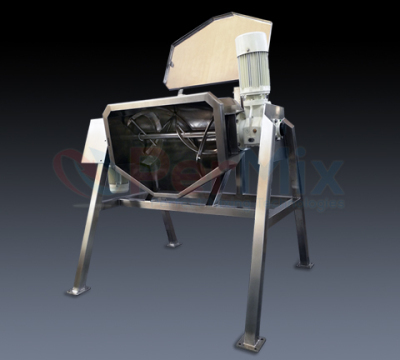 The PerMix PRB series Ribbon Mixer is an efficient and versatile blending machine for mixing of dry powders, granules and viscous pastes homogeneously. It is able to give perfect result for mixing due to the innovative design of spiral agitator inside of its U-shape chamber. 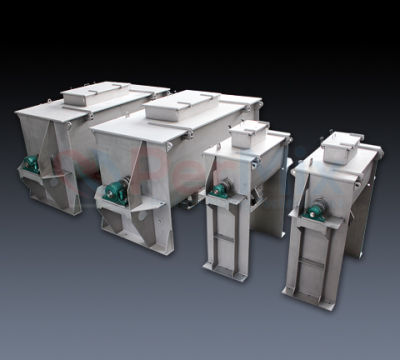 In a PerMix PRB series Ribbon Mixer, the powder or paste moves from center to the end of container and also from end to the center. In such a three-dimensional way, the total powder or paste is mixed within the chamber. It asks for a short mixing time and relatively low power consumption. The unit consists of one electrical motor, one reduction gear, coupling, and shaft with spiral agitator. The shaft is sealed with bush & PTFE gland housing at both ends. Materials are loaded from top side, and the discharge is located at the bottom side in the center. The discharge height can be adjusted as per requirement, so that material gets discharged into the container below it without floating dust. We offer several types of spiral ribbon for different sizes and applications. Standard ribbon is used to provide general blending purpose, with center discharge; Interrupted ribbon is applied for viscous material; Continuous ribbon is used for continuous operation with one side feeding and the other side discharging. We are able to offer Ribbon Mixers with contact part to be built by Carbon steel, SS304, SS316/316L, Titanium, Duplex stainless steel, Hastelloy, etc. For abrasive materials we offer hardened steel as the contact part. 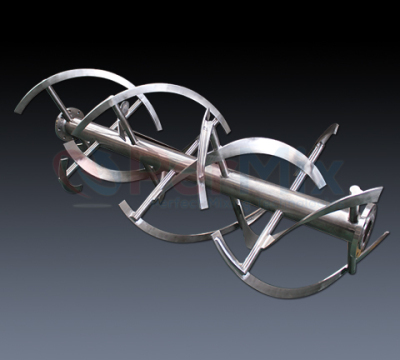 Also we produce Ribbon Mixers all by stainless steel in order to meet the high hygienic requirement. A variety of feeding & discharging methods can be selected by the customers. They can be prepared to fit into any existing production line easily. Safety grid can be installed to prevent the possible injury to the worker. Pneumatic discharge valve is used for fast and easy operation of unloading. 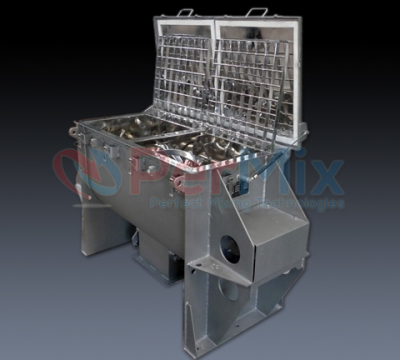 The mixer can be designed for vacuum drying & deaerating for special applications. 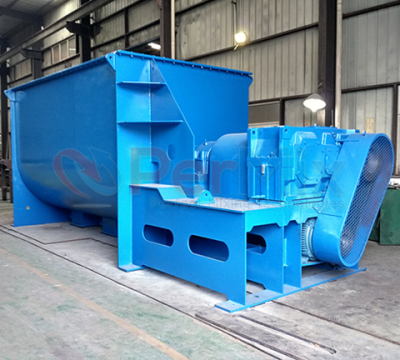 Height of our Ribbon Mixer can be defined according to customer’s condition. We can supply machines for continuous work when a large capacity per hour is needed for the same material. PerMix has designed a special feature for food application (salad mixing) with motorized tilting for discharge. The machine is built in full stainless steel construction for wash cleaning, a top lid with counterweight for easy manual opening. 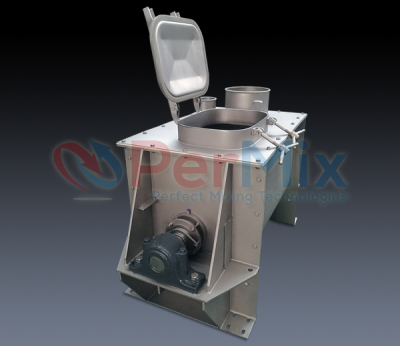 PerMix designs and manufactures a full range of sizes for the Ribbon Blender, from 100L up to 30 cubic meters. This gives our customers easy scale-up possibility.